WE DID IT! Winners McDonald and Kauri collect their prizes; (above) participants celebrate at the finish line. 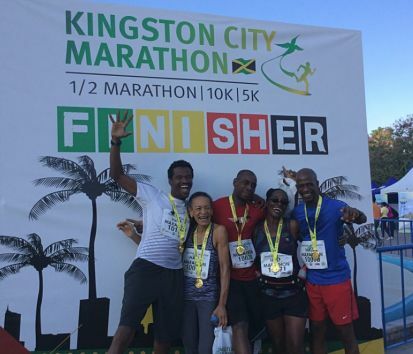 PROCEEDS from Sunday’s successful Kingston City Marathon, the inaugural staging, will be donated to four local charities: the Alpha Institute, the Marie Atkins night shelter, Food for the Poor and Missionaries of the Poor. Hundreds of participants flocked to the streets of New Kingston to be a part of history, as the event, formerly a half marathon (for six years) known as the Kingston City Run, found new life on a grander scale. 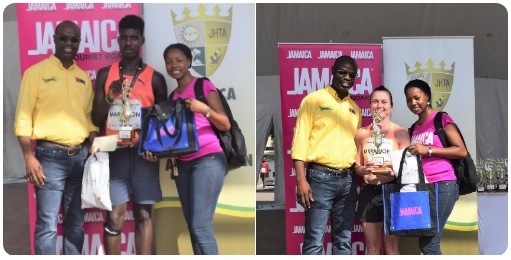 The Jamaica Tourist Board, the Norman Manley International Airport, Lifespan and Caribbean Airlines led a raft of sponsors contributing to a well-executed staging to raise funds for cash-strapped charitable organizations. GC Foster College senior Oshane McDonald emerged winner of the marathon, stopping the clock at 2 hours/52 minutes/44 seconds. Kemar Leslie was second, with Philip McCatty claiming the third-place spot. On the women’s side, Finland native Mari Kauri won in 3 hours/35 minutes/54 seconds. Aretha Martin took second, while Sonia Gayle came in third. “Running is like meditation for me,” said the 51-year-old Kauri, who works in purchasing and has been competing in marathons since 2004. McDonald, on the other hand, was doing a marathon for the first time. “It felt extraordinary to be going up against some of the best in the Caribbean,” said the 25-year-old who is now turning his attention to the upcoming inter-collegiate championships. 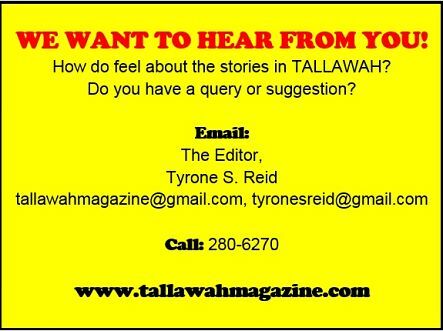 The morning’s activities included booth displays and demonstrations, giveaways and a live performance by gospel minister Rondell Positive.